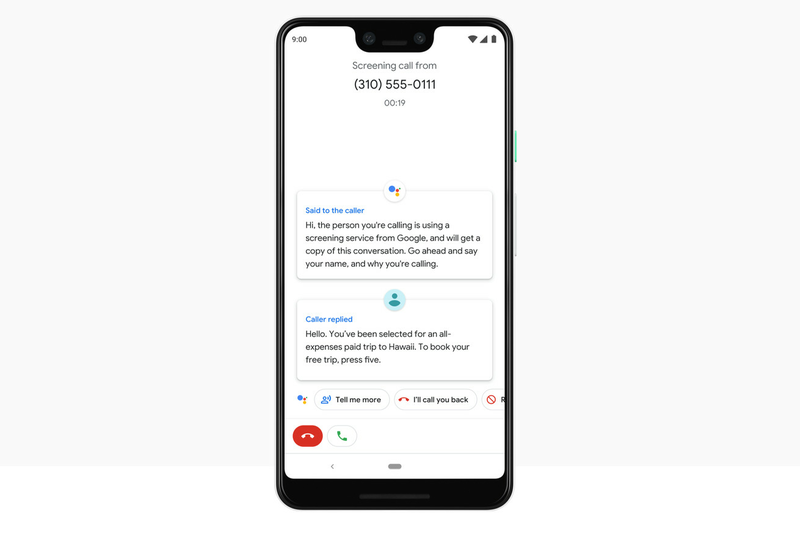 The Pixel 3 will be able to screen spam calls and provide real-time transcriptions, Google announced during its Pixel 3 event today. The new feature will allow Google Assistant to answer a suspected spam call and then transcribe the response in real-time, letting users to decide whether to answer the call, end it early, or block the number entirely and report it as spam. When you tap the “screen call” button, Google Assistant will alert the caller that you are “using a screening service from Google” and that you will get a copy of this conversation. It will ask them to state their name and reason for calling, which will then be relayed to you in real-time.